You don't know what you should do after getting your HTC One from phone shop and also having the micro SIM of your carrier? Here the answer: find the location of card tray slot on HTC One, eject the tray, and then insert your micro SIM. The details can be read on the explanation below. 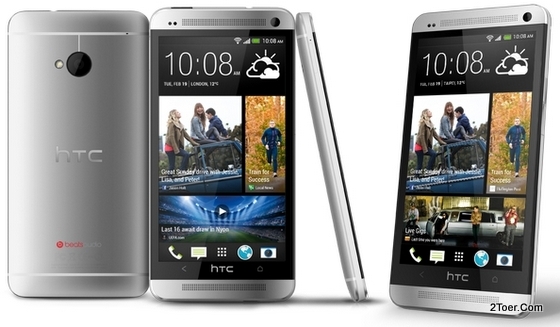 The location of SIM card tray slot is on the left side of phone's body of HTC One (front panel upward, facing up). For precisely, it left-side top of the phone. On the above of the slot tray, there is a tiny hole in there. This hole is an eject-hole. That's the hole that start everything on inserting the micro SIM on HTC One. Wanna change your microSIM or phone number in which you must remove the inserted microSIM? Just do the same step as above. Eject the tray with paperclip, pull out the tray, remove the SIM, place the new SIM to the tray and insert the tray back to its slot. That's all. It's simple, if you have an access to the phone's settings, just go to Slide Notification panel > Tap Settings > Backup & reset > Reset phone > Erase all data > tap OK.